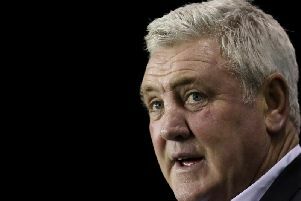 Birmingham City v Sheffield Wednesday: what time is kick off, what are the odds and is it on tv? Sheffield Wednesday will travel to Birmingham for their Championship clash on 27 October in the hope of maintaining a place in the play-offs. Meanwhile Birmingham City are off the pace after a mixed start to the season and currently sit in 17th place in the league. Kick off at St Andrews is at 3pm on Saturday 27 October. The match is not being shown on Sky Sports, but should be available to follow on the iFollow Audio service. How can I follow Birmingham v Wednesday? You can get all the latest updates and team news on the Star website. The referee has not yet been announced for the match. What is Birmingham and Wednesday’s form? Birmingham are in decent form, but have drawn too many matches to mount a serious challenge in the Championship this season. The Blues have not lost a match since 22 August, but have drawn six matches since then. Before the international break they secured a 3-1 win over Rotherham United.